Confidence is an attractive trait, but it's not the only one. According to the conventional wisdom, self-confidence is one of the most attractive qualities a person can have, and men with self-confidence are far more attractive to women than men without it. Real relationships are always a lot more complicated than conventional wisdom would suggest. If you're interested in a man with low self-confidence, there are things you can do to help him and improve the relationship. The truth is, not all types of self-confidence are equally attractive. A man who appears quietly competent and self-assured can be a lot more appealing than a man who seems superficially cocky and egotistical. Confidence of any kind isn't equally appealing to all people. Some people find shyness or social awkwardness charming. However, a lack of confidence can get in the way of living a full life, because it makes it much harder to pursue what you really want. If the man you're involved with seems stuck in his life because he lacks self-confidence, you might be able to help him move forward. 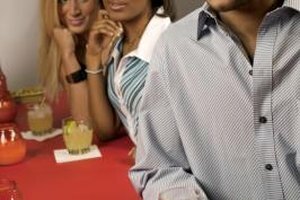 Often, the guys who seem the most self-assured about their ability to pick up women are filled with self-loathing about who they are on the inside. A man can be self-confident in one way but not at all self-confident in other ways at the same time. Confidence includes belief in your own competence, belief in your ability to solve problems and belief in your basic worth as a person, says Dr. Alex Lickerman in "Psychology Today." The same man can be completely confident in his competence as an attorney, not confident at all in his ability to overcome problems in his life and have mixed feelings about his basic worth as a person. People are complicated. When you're dealing with a guy who has confidence issues, try to see the whole person instead of just the parts of him that are self-doubting. The best way to help a guy with low self-confidence is to ignore his weak points and build up his strong points. Praise him whenever possible for whatever he does well and avoid criticizing him at all for whatever he struggles with. If he feels supported and encouraged by you, he will be in a better position to work on the things he needs to work on. However, even though you can support him you can't do the work for him. If he wants to change his life for the better, he has to do it himself. 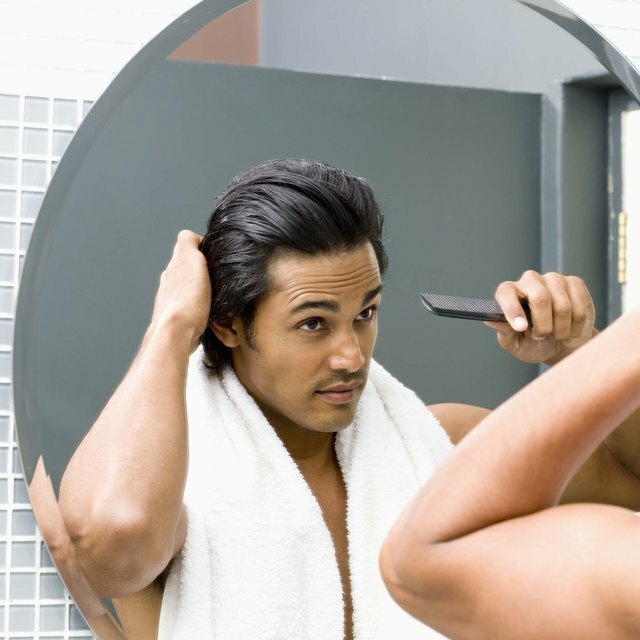 A man with low self-confidence may also be suffering from depression or other mental and emotional issues. If this is the case, you won't be able to fix the problem by simply saying positive things and being supportive. Depression can change a previously self-confident man into a man filled with insecurity and self-hatred, according to clinical psychologist Deborah Serani in an article in "Psych Central." If you suspect the man you're involved with is suffering from depression, encourage him to get professional help for his problem. He's unlikely to get better without help. What Are Signs of Selfishness?